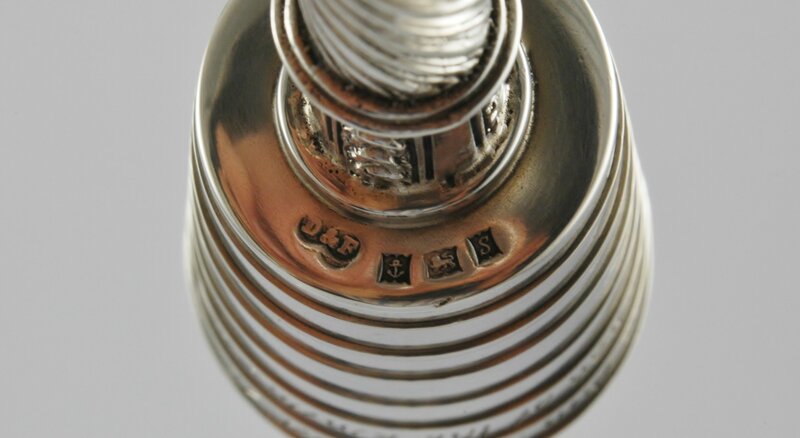 This is a copy of the one made by William Stroud in 1788 for the Earl of Lonsdale. 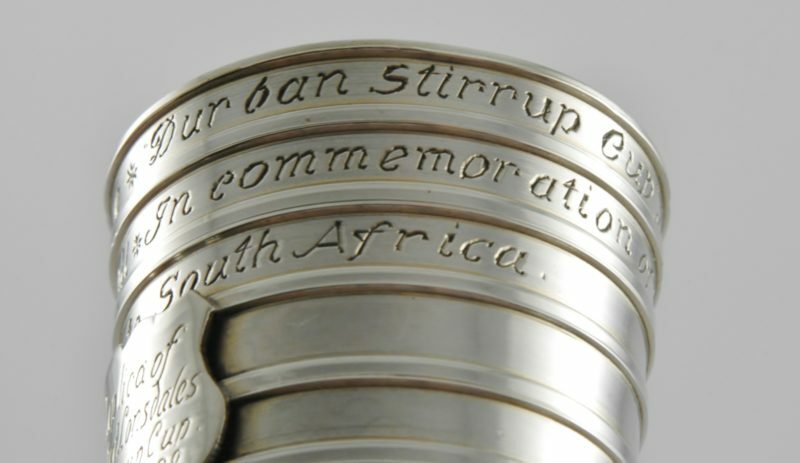 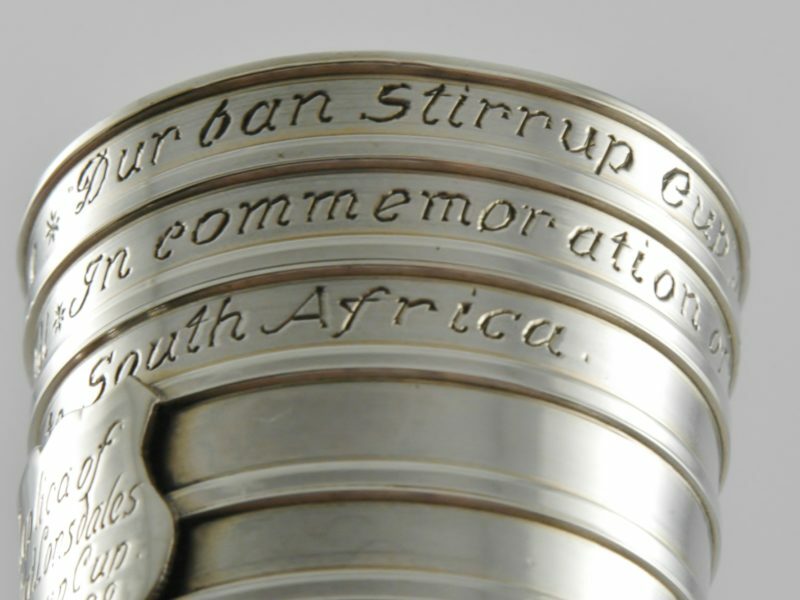 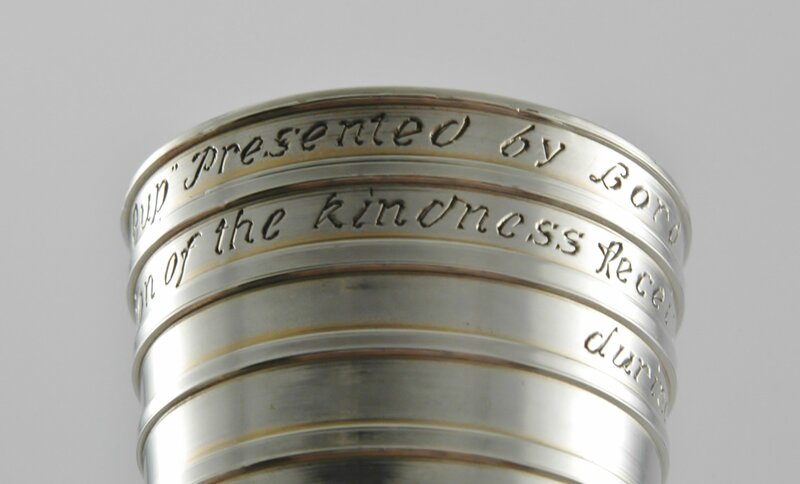 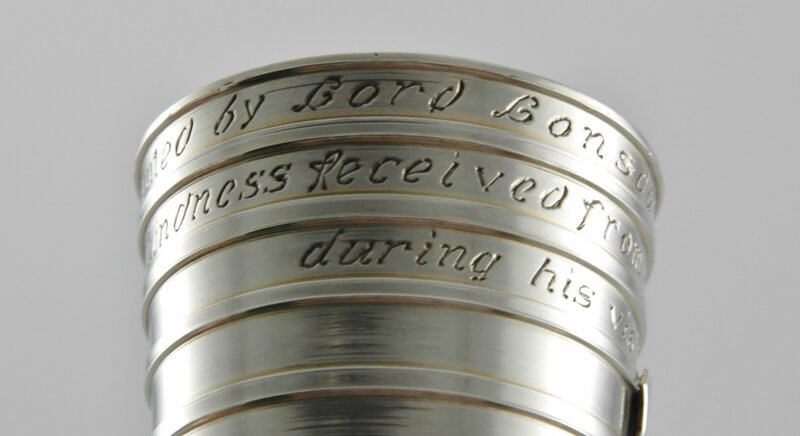 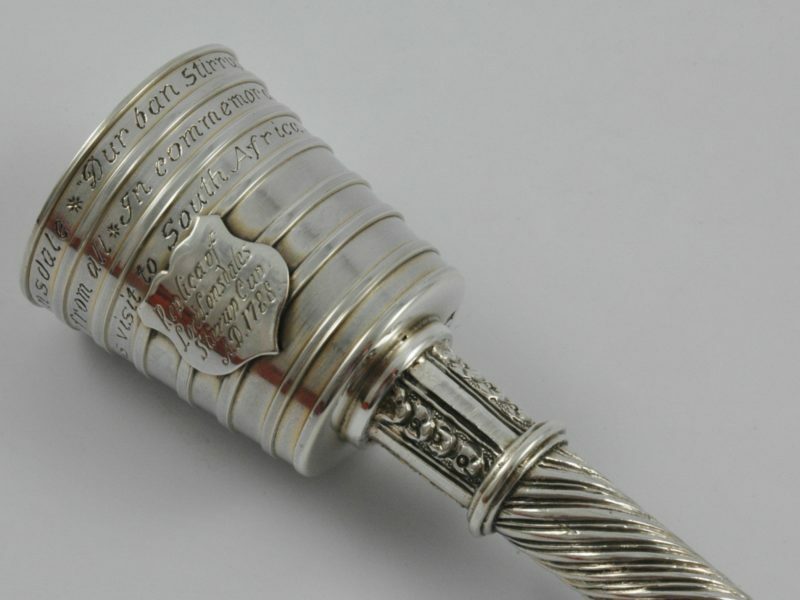 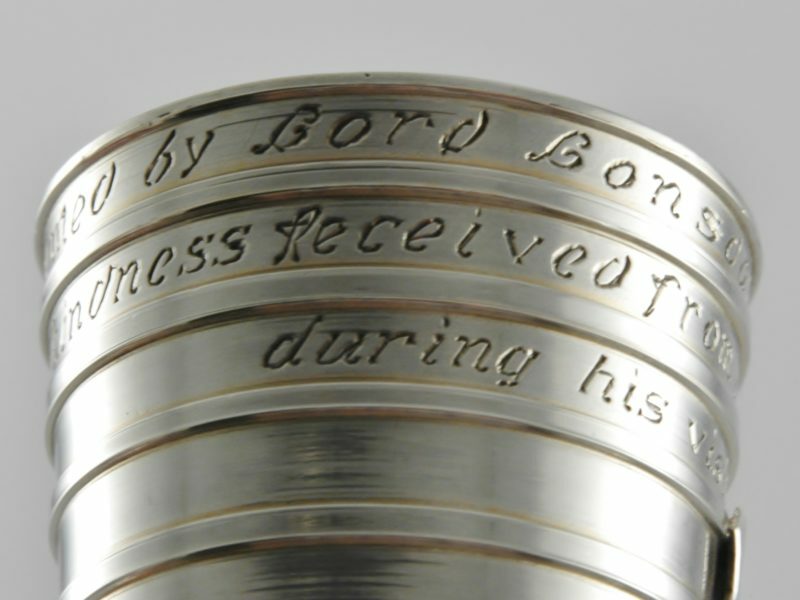 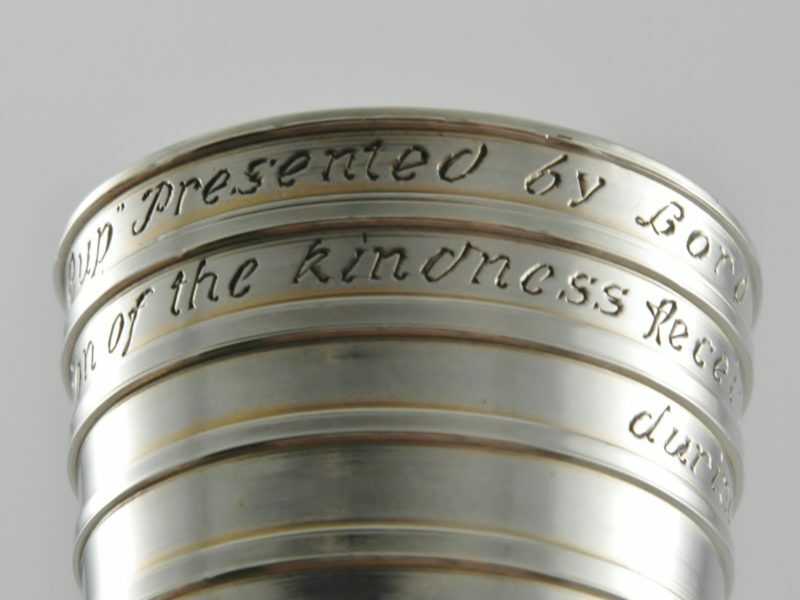 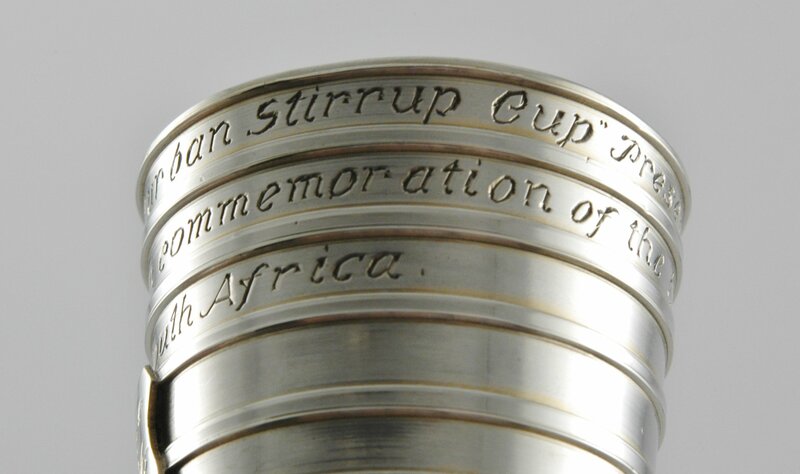 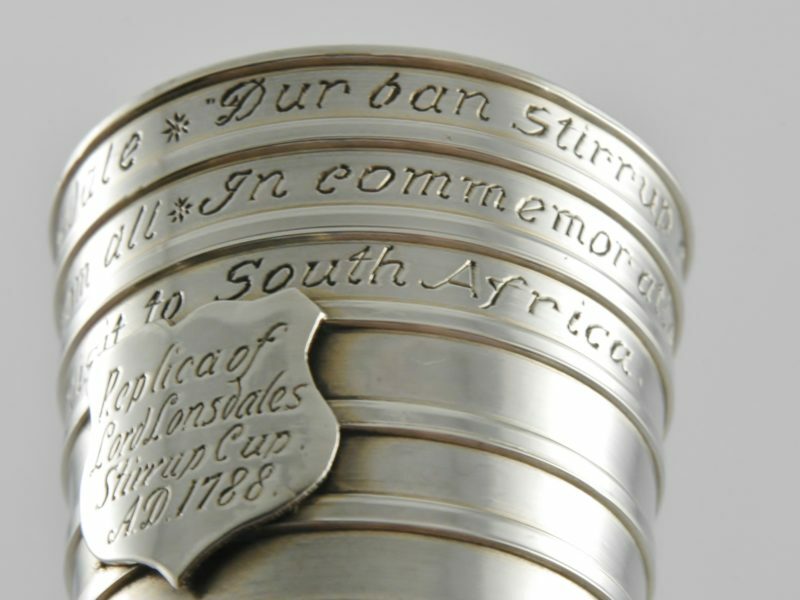 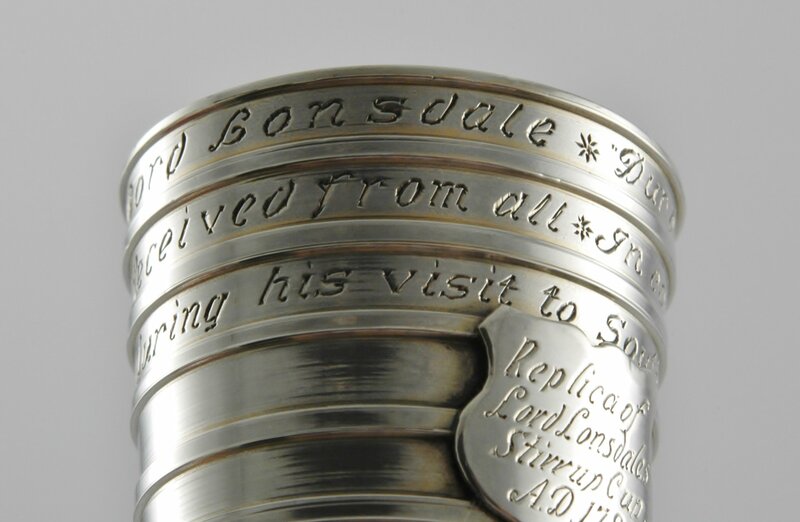 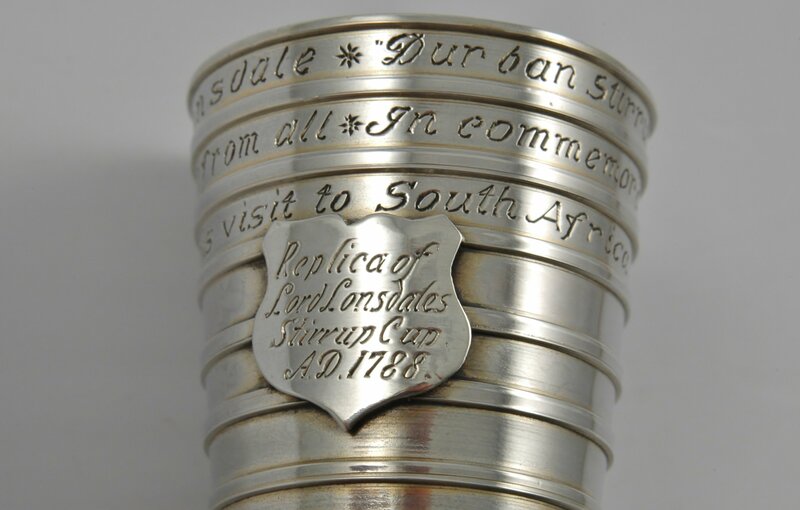 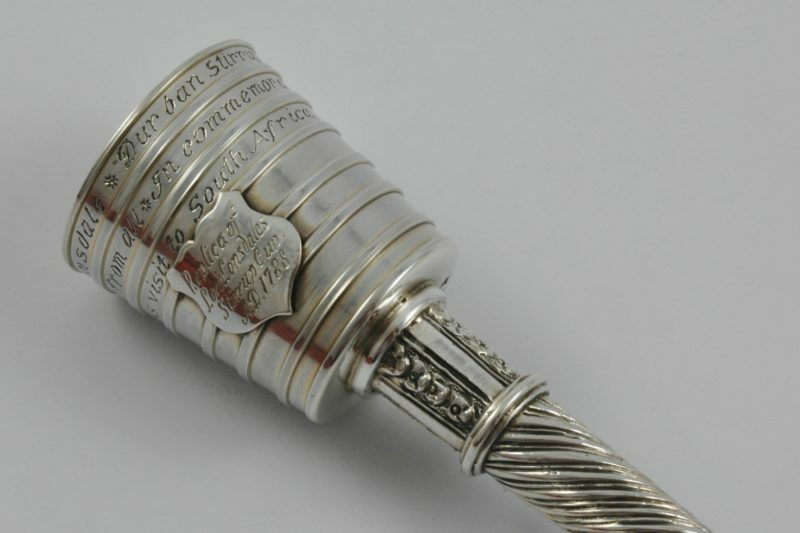 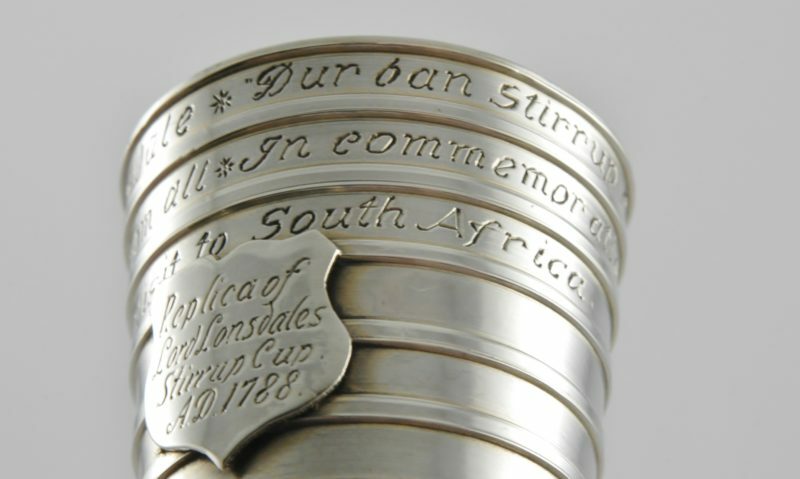 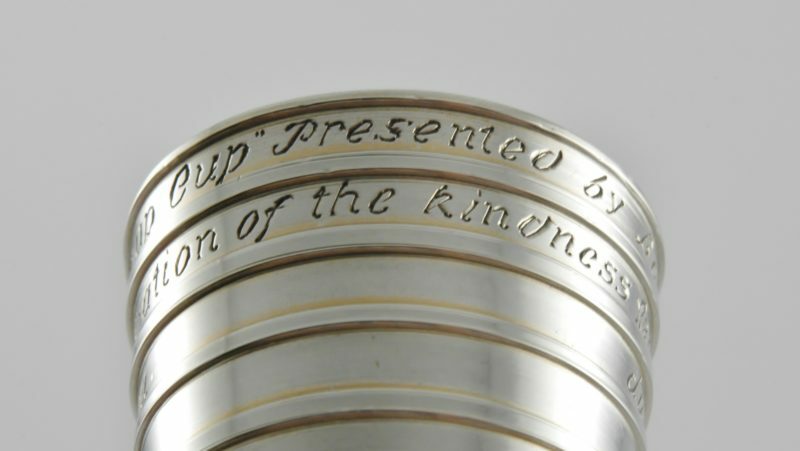 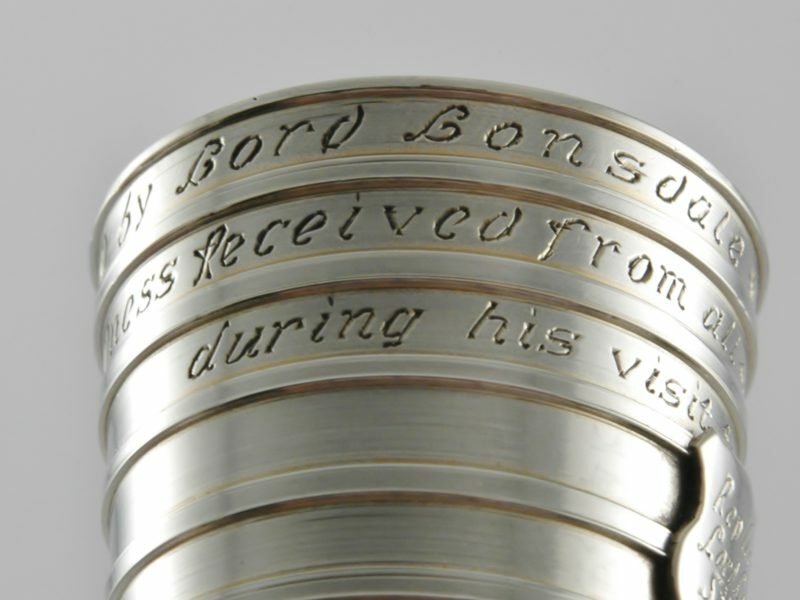 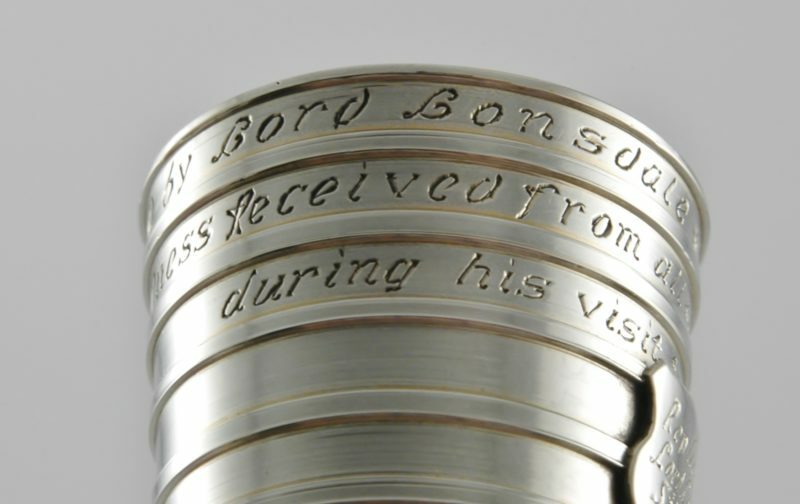 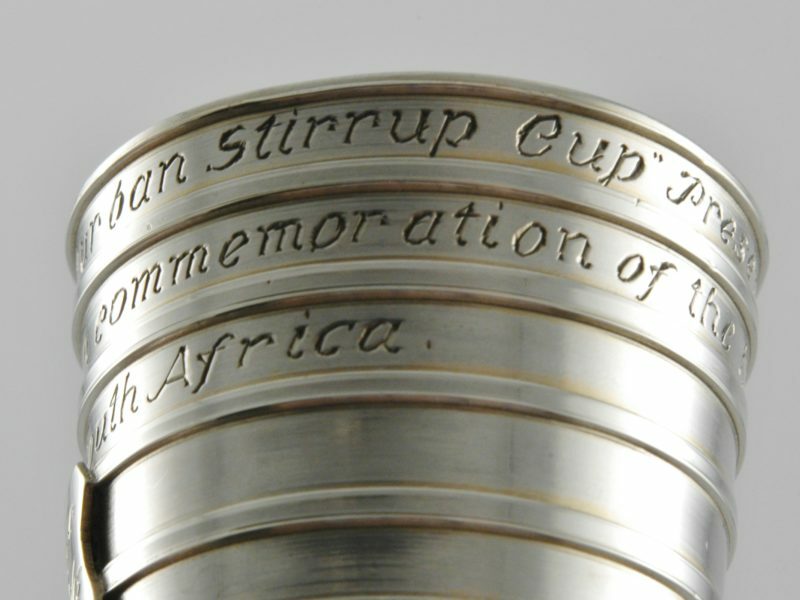 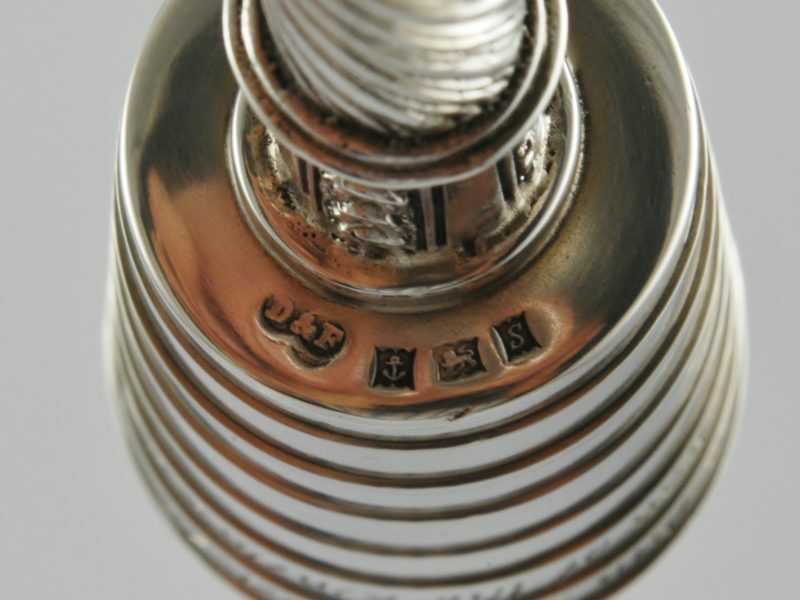 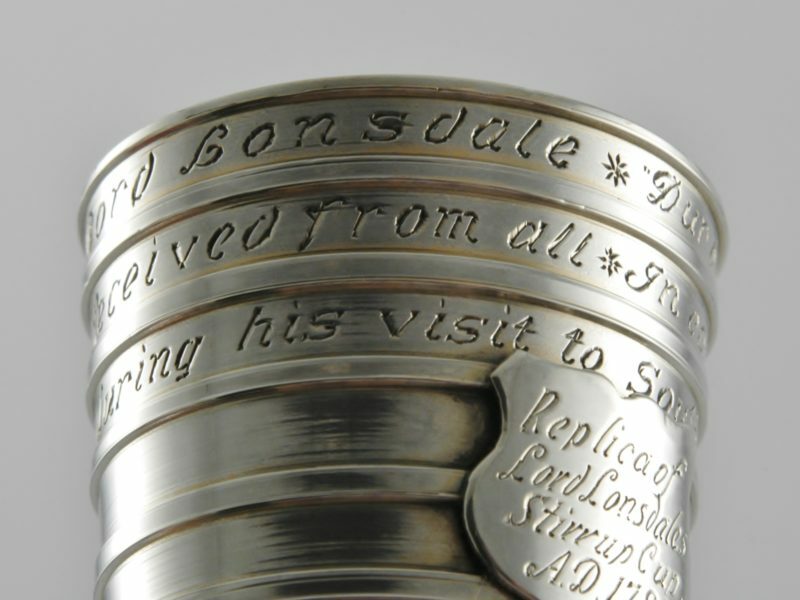 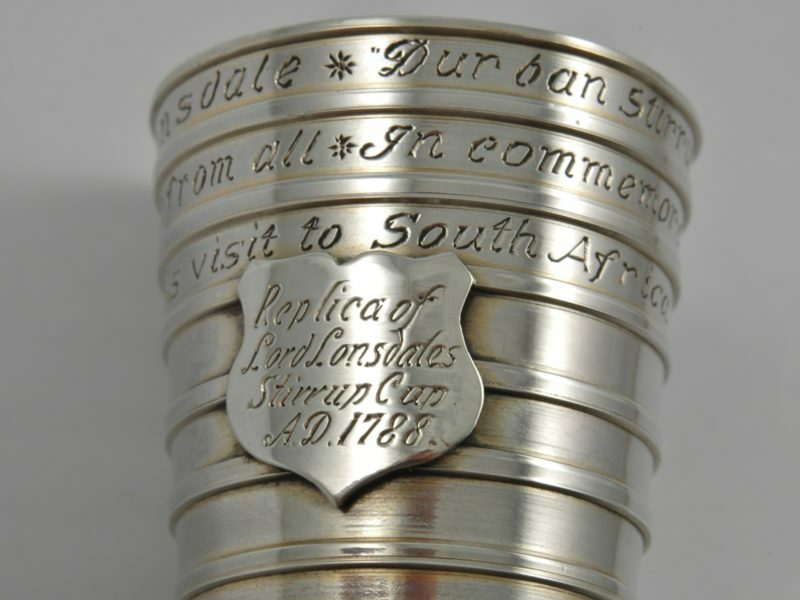 The cup inscribed: ‘Durban Stirrup Cup’- Presented by Lord Lonsdale. 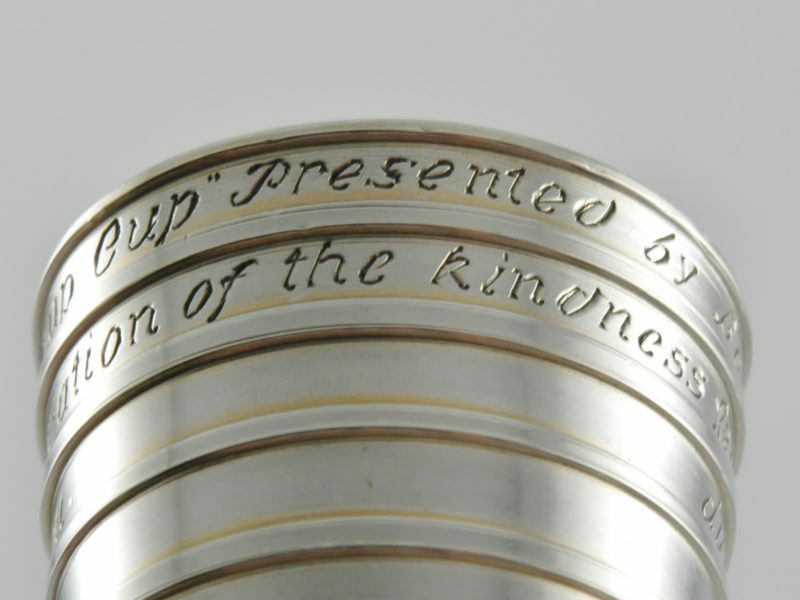 In commemoration of the kindness received from all during his visit to South Africa. 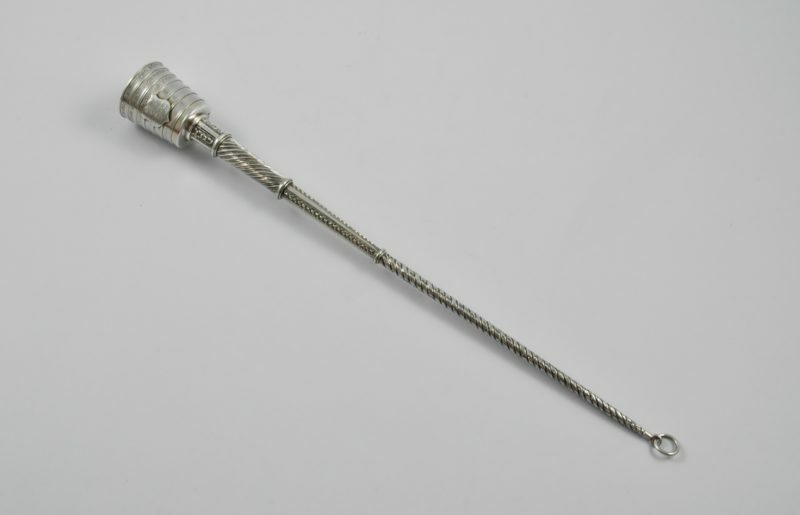 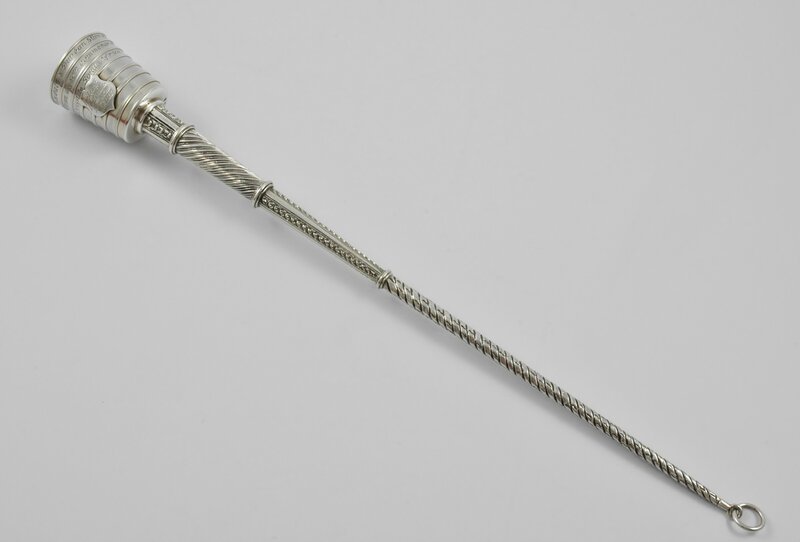 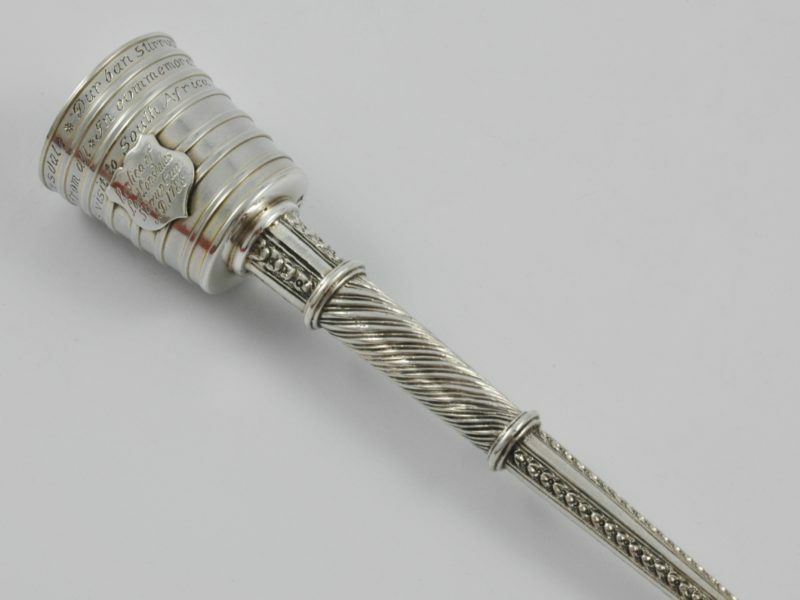 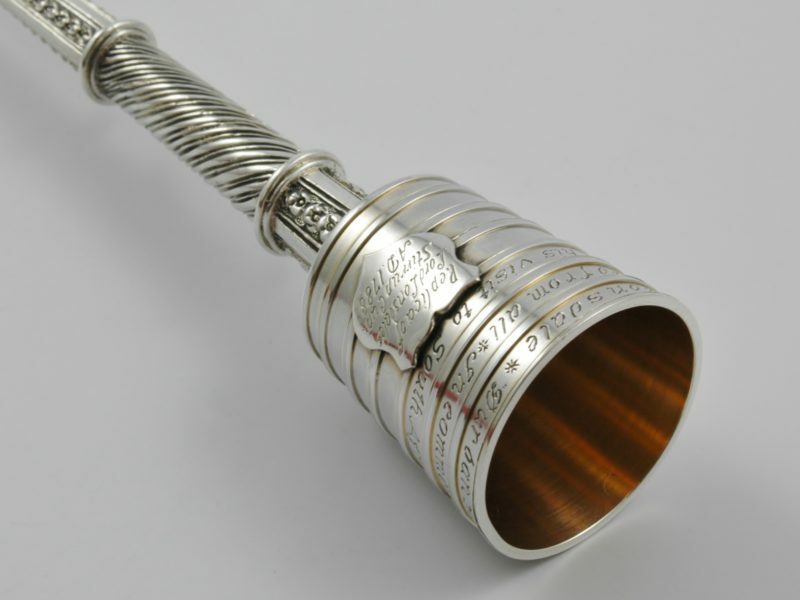 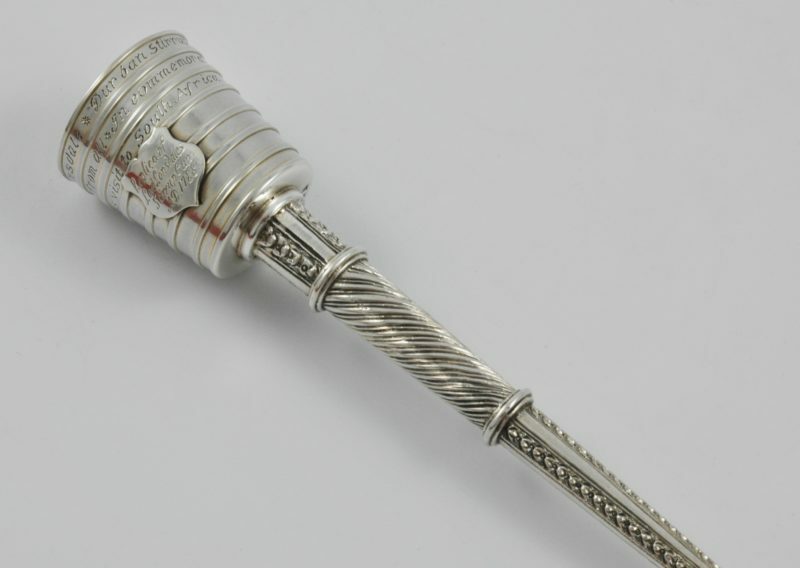 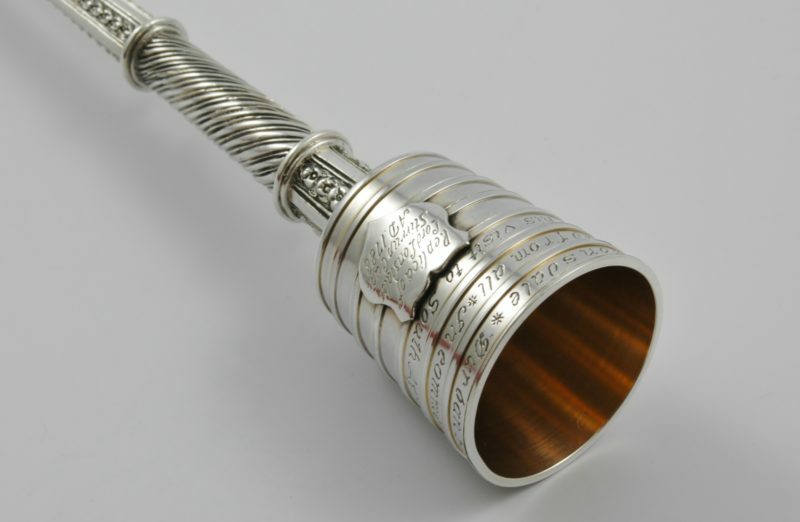 Dimensions: 29 cm long by 3.2 cm cup diameter.